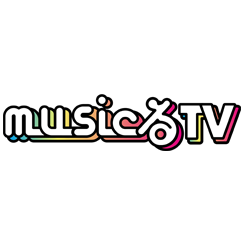 Planning ＆ Organizing TV Programs｜TV ASAHI MUSIC CO., LTD.
Based on the concept of “Fresh Encounter with Music is Here!”, “music-Ru-TV” is a Music Information Program aired via TV Asahi’s 24 broadcasting stations nationwide. Featuring in this Program are two main MCs; Hyadain and Show Ayanocozey. Hyadain is a sound-producer- Artist. Show Ayanocozey was the MC at “Moshiure corner” since May 2014. Also, additional two MCs Yoji Kondo and Suzuka Matsumoto (REPIPOCHA), who are extremely popular among teens, entertain the viewers with unique talks in the uptown and café studio set. They will give you rare information that even teens like to jump at it! Also, this Program offers the corner called “Million Renpatsu Ongaku-Sakka Jyuku”(Music writer school for Million-Seller Writers) to dig up the next-generation Writers by Music-writing contest for the latest Artists. Animation director Yuji Uchiyama’s new animation called “NORA SUKO” can be also seen in this Program. Yuji Uchiyama is a creator of a popular picture story featured with a paper rabbit called “KAMI USAGI ROPE”. With new MCs and new projects, this Program will continue to offer a variety of latest information including Music to the viewers all over the country. This Program focuses on the most active male Artists among the variety of Music genres. Then the Program introduces such Artists from various aspects. That’s the unique feature of this BREAK OUT Program. 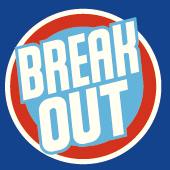 BREAK OUT touches the inner world of Artists to give the viewers their real charm honestly and sometimes through the scientific and psychological analysis.